Thank you to St. Martin's Press for this delightful read! Seems every book I've read that's been placed in the South has a huge mansion on an island type with virtual no signal for cell phones. AND I LOVE IT! The author takes us from the early 1940s to present day as we get to know the ladies back then, to the offspring now. A story within a story and both just delightful to read. The history of the island, the people that occupied it, the way the world was then as compared to now... we get it all - including the drama and secrets that are kept in both. 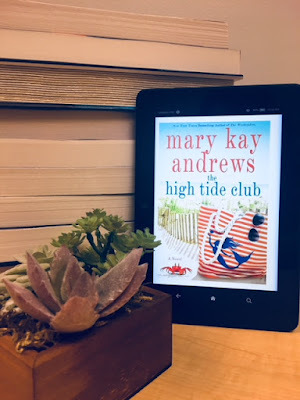 The High Tide Club was formed by four close friends who are utterly different but bound by their friendship and their loyalty to each other. While they may have gone their separate ways, it's Josephine, and her impending death, that brings their successors together. Oh the secrets to be let out. Some obvious, some not so. 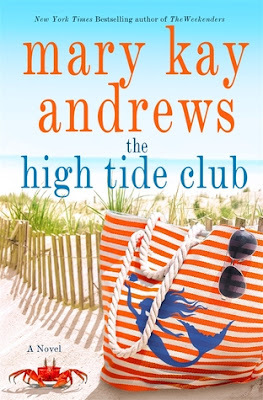 And while Brooke, the lawyer on the case specifically asked for by Josephine, her mother and a gaggle of other women come to the island, there are secrets of their own to be meted out. Honestly, this was a fantastic read. It's definitely not all sunshine and rainbows, but what fun would it be if that was ALL there was to it? I love the way the author really shows the spunkiness of the older women. They have LIVED, kept their secrets, have learned what is truly important in life and won't back down. The younger generation wants what is best for them... but end up learning that what they think is correct may not actually be. We all have lessons to learn, at any age - and this story brings this to light. I guessed the main twist long before it was revealed but let me tell you... even as the biggest twist of the story to really bring things together, there are many little twists along the way that will leave you surprised. I loved all the characters in their own right... well, among the women anyways 😉. A fantastic read for those who love secrets, betrayals, sassiness, history and love in all ways.